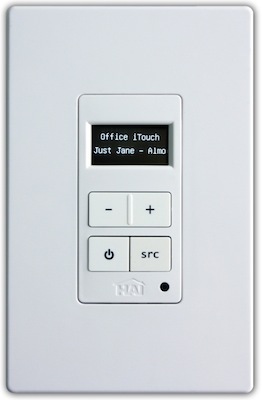 Home Automation, Inc. (HAI) announced the Hi-Fi 2 Multi-Room audio system is expected to ship in October 2010. 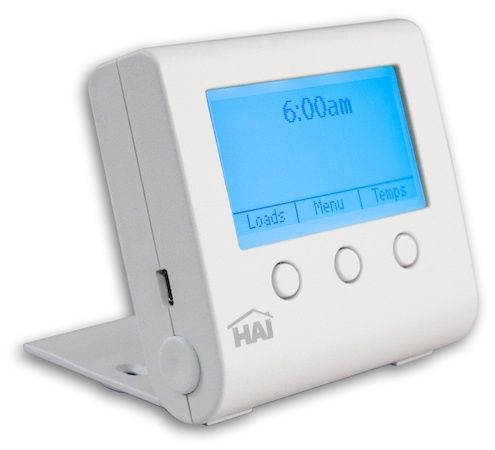 HAI's Hi-Fi 2 was created for today's demanding homeowners. The base system features 8 zones and 8 sources and may be expanded to 16 zones. 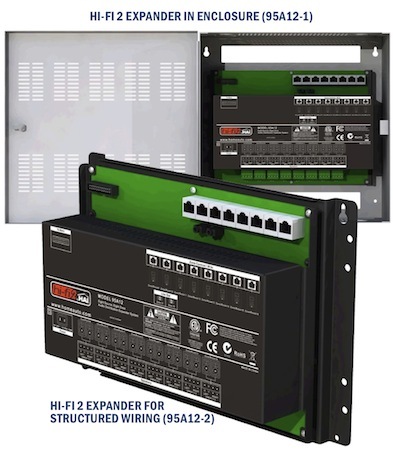 Installation remains simple with standard Cat-5 wiring and standard speaker wire. The powerful yet compact Hi-Fi 2 plays music from devices you already own (or new devices you wish to purchase), and is so easy to operate that anyone can enjoy it. With Hi-Fi 2, you have the ability to listen to different sources at the same time at different volume levels throughout your home. Or set all zones to the same source and volume. The new OLED Volume Source Control (VSC) displays source name, volume bar chart, bass, treble, balance and more. It features four hard buttons for control of volume, source, and power. VSC's act as infra-red repeaters for source component control. Simply point the source's remote at the VSC and it will route the signal back to the original source component through the RIM. Audio sources can now be locally inputted at the Hi-Fi 2 amplifier, or located throughout the house using Remote Input Modules (RIM). 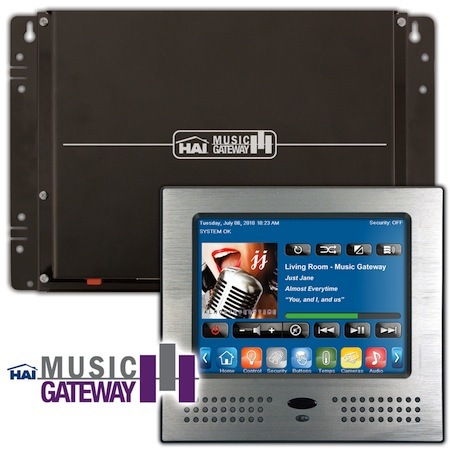 Local input examples include items like HAI's Music Gateway and satellite/Internet radio tuners. 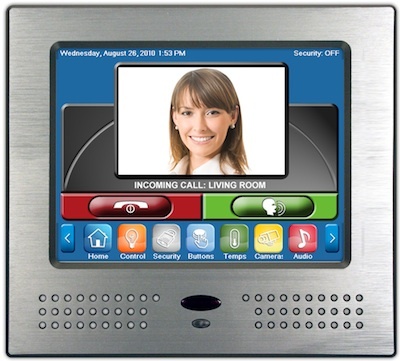 Remote input examples include a home theater system, kitchen TV, iPod dock, etc. The color of the VSC and RIM may be changed to complement the interior decor. They ship white and have color change kits available in almond, light almond, black, ivory, and white. Zone amplification has been increased to 25 watts RMS at 8 ohms per channel (50 Watts per zone) and four zones have outputs for additional amplification. The Hi-Fi 2 has a built-in universal power supply as opposed to the “power brick” of the original Hi-Fi by HAI. 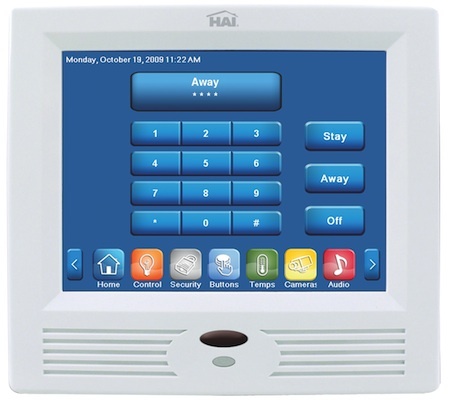 Hi-Fi 2 may be a stand-alone installation or may be integrated with an HAI home control system for enhanced features including control from an iPhone or iPad, and automated functions like turning off all audio zones when exiting the home. The form factor and wiring for the Hi-Fi 2 is similar to the original Hi-Fi. The main amplifier, RIM and VSC connect with Cat5, as before. The speaker connections are the same de-pluggable terminal strips. However, Hi-Fi 2 RIMs and VSCs are not interchangeable with Hi-Fi RIMs and VSCs. If replacing the main amplifier, the RIMs and VSCs must also be replaced.